Isn't “marketing” a bad word? No! The truth is you are marketed to everywhere you go. Almost everything we own is marketing something to us: the logo on your toothbrush, the ad on the cereal box, the brand sticker on your shirt, laptop, stroller, bicycle, etc. Marketing is the process by which one is convinced to by goods. Affiliate marketing is the process by which you promote the product of a company on your blog, website, social media, videos or emails by sharing a link or promoting a link to the product that includes a specific tracking code. Whenever any visitor buys a product by clicking your link, you are rewarded with a certain percentage of the sale price, or a set commission amount per sale as a sort-of thank you for referring the customer to them. There are millions of affiliate programs out there that bloggers, businesses and even everyday people without a website can participate in. In fact, the trends seem to be in favor of affiliate marketing over traditional forms of advertising because the statistics show that more people will buy things when recommended by a sources they trust. 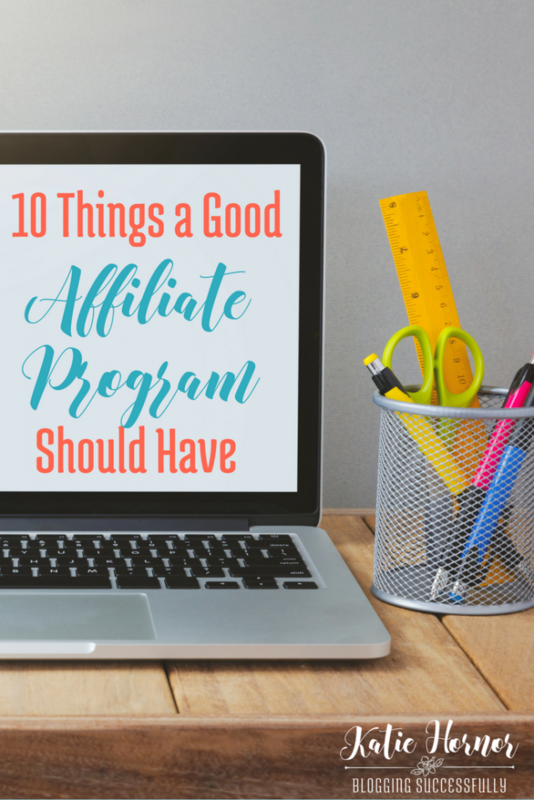 But how do you know if the affiliate program is a good one? They have an awesome product that you love and can stand behind! They offer fair commission rates according to the product prices. Their Affiliate Center (where you login to get your link) is easy to understand and navigate. They provide lots of banners (image links), links, copy/paste blurbs, and sizes/options to choose from. They email you regularly with upcoming sales and promotions, so you can get them on your calendar in plenty of time. They pay their commissions on time. Their affiliate representative is easy to get in touch with and quick to respond to affiliates who have questions or encounter problems. They may also have a Facebook support group to help keep affiliates up to speed with current sales, promotions, upcoming product launches and other news. They may offer incentives to promote their products. They may offer free or discounted products to their affiliates. Want to learn more? Our book, The Blogger's Guide to Affiliate Marketing is available as an Amazon kindle or print book.